Le Coupe is by Brisbane-based circus company, Company 2. 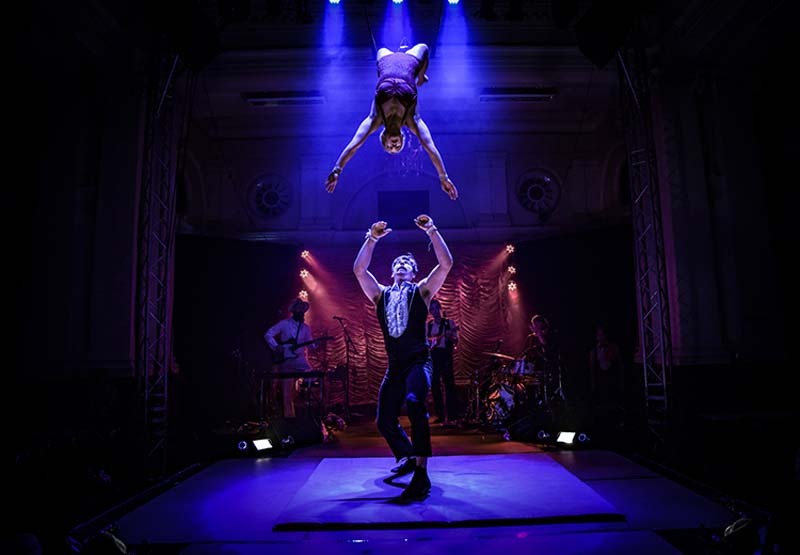 Company 2 has achieved significant success with growing demand for its distinctive contemporary circus performances locally, nationally and internationally. The company has premiered eight works, two commissions, won five awards, toured at major festivals and theatres across the world. 2017 was an especially successful year - performing to over 85,000 people across six countries, with four different productions and one premiere. Nationally, they presented at The Sydney Festival, Brisbane Festival, Awesome Festival Perth, Adelaide Fringe, all achieved with less than 5% funding support. Le Coupe is Company 2’s most recent work to tour across Queensland and beyond. Circus cabaret is back – bigger, bolder and better than ever! Circus, vaudeville, comedy, music and everything in between is delivered by some of Australia’s leading circus artists. This is a high-energy acrobatic workshop run by Company 2. Come by yourself or bring a partner and learn basic beginner acrobatics. Suitable for ages 15+.